Under PENI, IPI offers a variety of workshops, seminars, and training sessions for parent educators, administrators, teachers, volunteers, schools, communities, houses of worship, individuals, and parents in corporate settings. IPDP’s focus is on equipping program participants with 21st Century parenting strategies and techniques that are relevant to the needs of today’s caregivers, empowering them to strengthen their family relationships and thus reduce recidivism. Participants learn important concepts that are readily implementable for strengthening the relationships of the culturally diverse families they serve, while enhancing their own professional skillset to model, teach, and reinforce a caregiver’s ability to create the healthiest of environments for their children. Based upon IPI’s core family management curriculum, Birth2Eighteen (B2E), IPDP was framed to address some of the most challenging issues facing hard-to-reach, urban caregivers today. Integrating evidence-based prevention and intervention strategies, IPDP focuses on reducing those family stressors that lead to feelings of helplessness, hopelessness, and lack of motivation that are known precursors to the parental maltreatment of children, substance use disorders, unplanned pregnancies, homelessness, unemployment, poverty, crime, and community deterioration. Mini 2 to 4 hour, or 1-day, workshops that cover a variety of relevant topics, Parent Bytes are ideally suited for in-house staff workshops, Brown Bag lunches, event keynotes, or as a parent group workshop, class, or meeting. Parent Bytes cover the parenting topics most directly related to the needs of today’s parenting professionals, and that are most often requested by them. Up to 6 Parent Byte topics can be covered in one session. IPDP participants use these sessions to help the families they serve develop the skills they need to create a nurturing home. A minimum of 8 people is required to receive the group rate. For a complete list (and explanations) of the Parent Bytes topics offered, CLICK HERE. For persons interested in enhancing their skillset, or organizations interested in enhancing staff skillset. These comprehensive programs are offered over a period of 2 full days from 9:00 AM to 5:00 PM, or as scheduled. Training can take place on- or off-site, as arranged. A minimum of 8 people is required to receive the group rate. The Nurturing Parenting Programs (NPP) are family-centered initiatives designed to build nurturing parenting skills as an alternative to abusive and neglectful parenting and child-rearing practices. A relationship skill and decision making program for helping adults achieve their goals in relationships, family, and marriage from PREP Inc. The fundamental premise of this program is that 1) all people want happy, healthy and stable relationships and 2) that these aspirations are most often expressed in terms of a desire for success in marriage. All IPDP programming is culturally adaptive to the needs of diverse groups. That is because prior to any IPDP presentation, consultations are held to ascertain client’s perspectives, interests, value systems, resources, and goals. 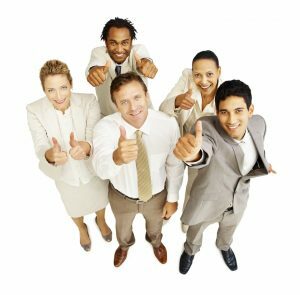 Sessions are then adapted to meet client’s needs, identifying effective format, delivery, time availability, and level of involvement. Methods of collaborative problem solving and programming are also developed to integrate client’s contributions and insights in order to deliver training that produces desired outcomes. CLICK HERE for a partial listing of IPDP Training outcomes. IPDP participants who successfully complete all phases of training receive a Certificate of Completion (of program requirements). Workshops are conducted at host sites, or at other locations, as determined. Complete a Request an IPDP Event form and follow the submission instructions provided. Once your request has been received, the PENI Coordinator will contact you to confirm your specific training goals, and to begin to work with you through the process of getting your IPDP Training to you. The PENI coordinator will in addition ensure that matters are handled expeditiously, within a mutual timeline, and professionally. Allow at least 20 working days in advance of your IPDP Training event to finalize all details. 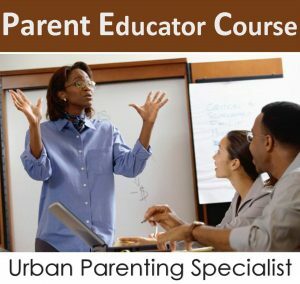 These courses deepen participants’ understanding of the qualities, skills, and processes inherent in the parenting education models available today, within a variety of relationships. It supports professionals in delivering consistent parenting education and training that respects and reflects the individual needs of the parents and families they serve. It continues with an overview of the format, content, style, and essential skills within each domain. The training structure permits participants to learn by active discussion, and by practicing the skills learned, with constructive feedback. Contact Us for further information, or to get registered.